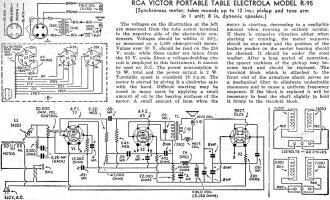 At least for now, I am going to only scan and post schematics & parts lists like this one featuring the RCA Victor Portable Table Electrola Model R-95 radio in graphical format, rather than run OCR on them to separate the textual content. 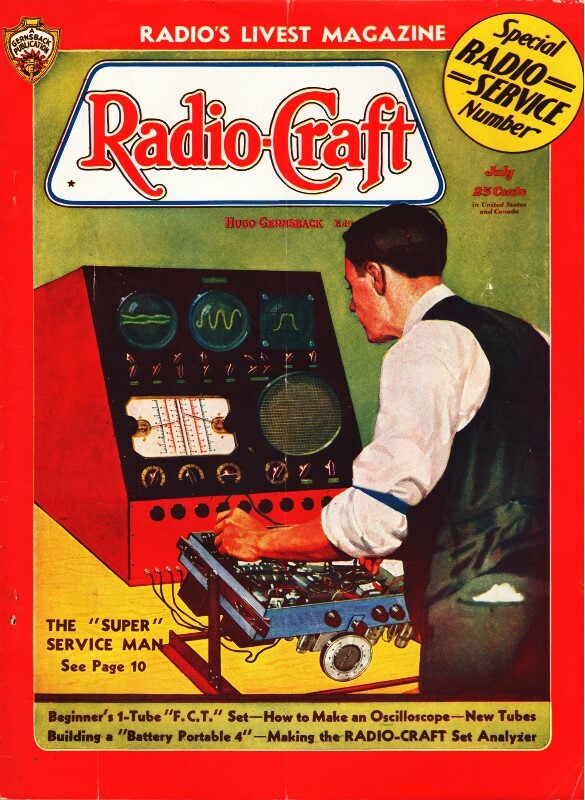 There are still many people who restore and service these vintage radios, and often it can be difficult or impossible to find schematics and/or tuning information. I will keep a running list of all data sheets to facilitate a search. The voltages on the illustration at the left are measured from the tube socket terminal to the negative side of the electrolytic condensers. Voltages should be within ± 2.0%, as measured on a 1,000 ohm-per-volt meter. Values over 50 V. should be read On the 250 V. scale, while those under are taken from the 50 V. scale. 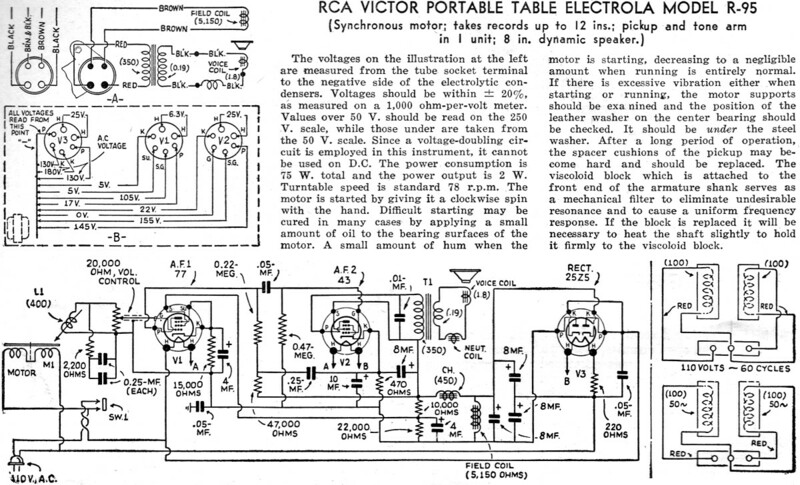 Since a voltage-doubling circuit is employed in this instrument, it cannot be used on D.C. The power consumption is 75 W. total and the power output is 2. W. Turntable speed is standard 78 r.p.m. The motor is started by giving it a clockwise spin with the hand. Difficult starting may be cured in many cases by applying a small amount of oil to the bearing surfaces of the motor. A small amount of hum when the motor is starting, decreasing to a negligible amount when running is entirely normal. If there is excessive vibration either when starting or running, the motor supports should be examined and the position of the leather washer on the center bearing should be checked. It should be under the steel washer. After a long period of operation, the spacer cushions of the pickup may become hard and should be replaced. The viscoloid block which is attached to the front end of the armature shank serves as a mechanical filter to eliminate undesirable resonance and to cause a uniform frequency response. If the block is replaced it will be necessary to heat the shaft slightly to hold it firmly to the viscoloid block.